Over the past year, we have had the opportunity to work with some of the best lighting specialists in the US. Among the many challenges they face, renting lifts is a big one. Shoots happen at odd hours in uncommon places, and Tobly makes it easy. Most equipment rental companies specialize in construction and do not understand the unique needs of production crews. For example, in many cases, a “Black Condor” is needed to create the right lighting and reduce shadows to capture the perfect shot. The name Black Condor comes from the look of a matte finished black articulating boom lift fitted for the job, and these black cherry pickers are hard to find! Challenge Accepted. Black cherry pickers are ideal for production work as they are opaque and do not reflect light. 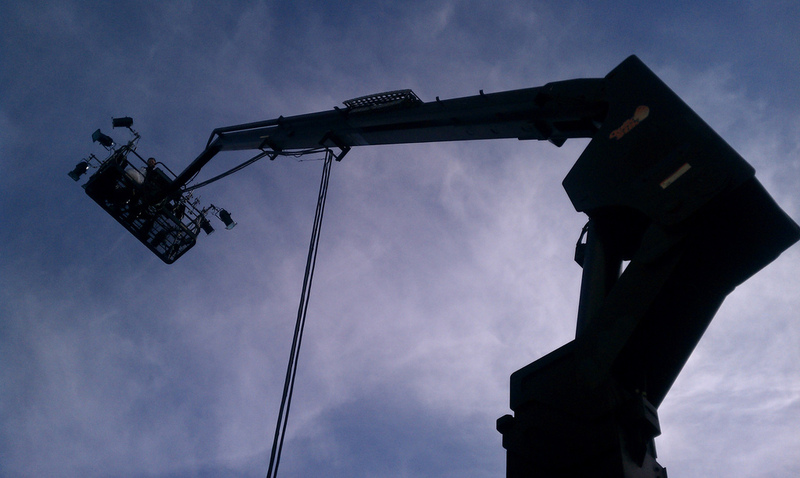 The black boom lift goes from 45 ft to 135 ft high, while the black scissors lift goes from 19 to 40 ft high. In some cases, these lifts are called black bucket trucks. 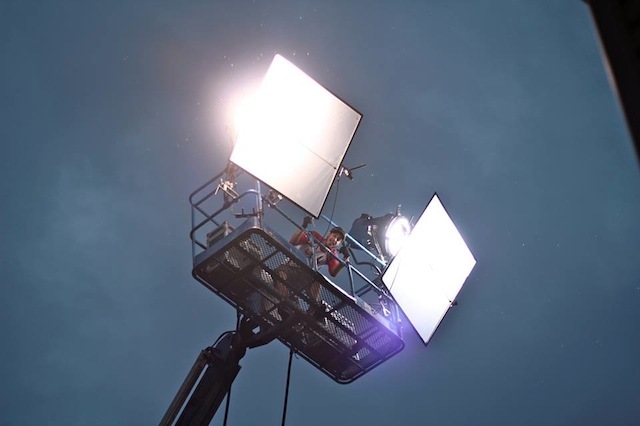 Very often, video producers need lifts to create a specific shooting angle, depth, or lighting mood and for this, the use of aerial work platforms is becoming the standard. Regular booms and scissor lifts are easy to find, the black lifts are always a rarity, especially in a last minute situation. At Tobly, we have taken the initiative to solve this very specific problem for our customers and in doing so, we can now offer the same simplified service to others looking to rent black boom and scissor lifts. Currently, we have legacy providers of black lifts in New York, Miami, and Los Angeles readily available at Tobly; howeever, we can help production managers locate these items at a national level to meet any job size. For inquiries about renting or supplying black aerial work platforms, please contact us at info@tobly.com. Previous Post: Succession, a story about power, money, and family.